Mobile learning and second (or third, fourth, or fifth) language acquisition has lent itself to mobile learning in a comfortable integrative way, thanks to the ideas and innovations of early pioneers such as Paul Pimsleur. It is useful to see how companies such as Pimsleur approach the rapid pace of communications innovation, and how they incorporate their core teaching and learning philosophies into the new technologies. Welcome to an interview with Robert Riger, Vice President and Director of Pimsleur Language Programs. Paul Pimsleur, our company’s founder, was one of the first people to see the potential for self-instructional language programs. He embraced new technology, using audiocassettes, the “digital download” equivalent when he began writing his courses. He was delighted to be able to set his students free from classrooms and schedules. In fact, in the early 1960’s he worked with Ohio Bell to create an on-demand dial-in program for audio language lessons (perhaps a precursor to a podcast?). The learning tools he created, and which our current courses are built on, allow users to express themselves in whatever language they wish: to understand at a functional level, to recombine elements learned, and to read and sound out words in a new language. Courses are designed to be used independently, with no prior knowledge, no live instructor, and no textbook. Because of the medium and the method, students connect directly with the language. 2. What do you think are the most effective ways for students to learn a language using e-learning or mobile learning? We all learned our first language through our ears, and by mimicking sounds and associating them with meaning. We believe that’s still the best way, and the closer we can duplicate that process, the better off our learners will be. One of the best ways to learn a new language is via audio lessons that can be used every day irrespective of the student’s lifestyle or schedule. 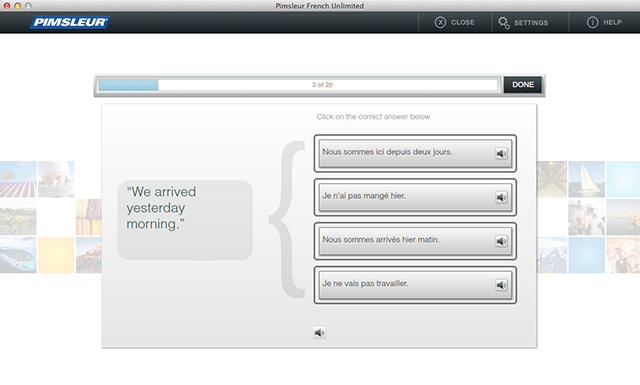 In that way, Pimsleur is a perfect fit for e-learning – it was designed to be used this way right from the beginning. 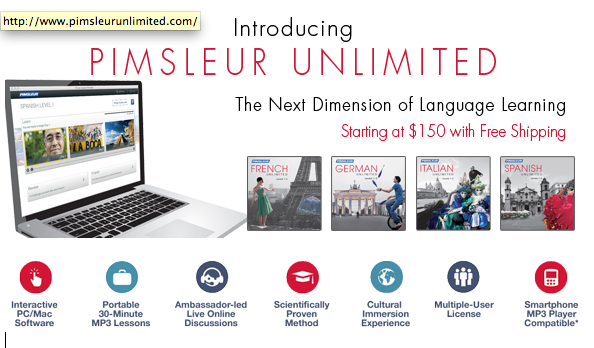 Our newest program, Pimsleur Unlimited, is currently available for use on MAC and PC computers, and Barnes & Noble’s Nook as a mobile solution. The audio lessons can be done inside the program, or they can be transferred to MP3 audio format with the touch of a button. 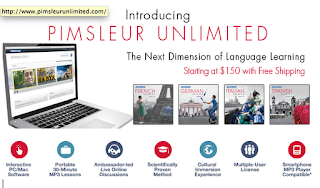 Pimsleur Unlimited allows users to access more visual aspects. Users have the ability to see words and phrases written down, work on pronunciation and conversational speed, use flash cards, or do a Quick Match game – while still preserving the primary language learning that occurs when completing the audio lessons. Pimsleur Unlimited also features an online chat option. Users can log in to hear presentations about various cultural aspects, and chat with native speakers and other learners as part of the learning process. 3. What are a few new developments in learning languages using mobile devices? Pimsleur Tapes were among the original “mobile” learning opportunities. Many students claimed that they learned an entire new language while listening (and speaking) in their cars. Now that the whole world has gone mobile, banking, entertainment, shopping, and learning are all being done on the go. There are many portable tools available to users who want to use another language to communicate. Whether one needs translation, a dictionary, flash cards, word games, or drills and even access to a foreign newspaper, news program or online tutor, there’s probably an APP available. In fact, there are so many options available, many beginners have trouble figuring out how to get started. We encourage everyone who wants to learn a language to start by working with Pimsleur. Once they are able to acquire a vocabulary and useful conversational skills, all the rest of the tools become truly helpful. After just a few weeks of Pimsleur, everything else starts making sense. 4. What is Pimsleur's core instructional strategy for language instruction? Early in his career, Dr. Pimsleur created a battery of tests designed to predict a students’ language ability. His tests confirmed that almost no one was actually learning foreign languages in school, and in the rare cases when they were, it was due to some extraordinary factor – a super teacher, a bilingual family, or some other influence outside the normal. His research showed that self-instruction that tapped into the brain’s natural abilities for learning and memory would produce profound results. Dr. Pimsleur believed that users should own the learning process. His programs give students the ability to put together unique sentences, and to speak with an accent that is near native. More than learning a list of words or memorizing phrases, it’s the ability to recombine them into unique utterances that really sets Pimsleur apart from everything else out there. He foresaw the potential e-learning had for government and academic institutions required to train large numbers of people in a new language quickly as world events demanded, for example in event of an earthquake, political upheaval, or other natural or man-made disaster. He also envisioned the possibility of making less-commonly taught languages available to learners who previously only had access through exclusive academic channels or by complete cultural immersion. He wanted his students learn at their own pace, working when and where they found themselves, but on a regular basis – preferably every day. He wanted his students to work on perfecting their pronunciation, to read in the language, and to put themselves into situations where they would be required to use their new language with native speakers as soon as early and as often as possible. 5. 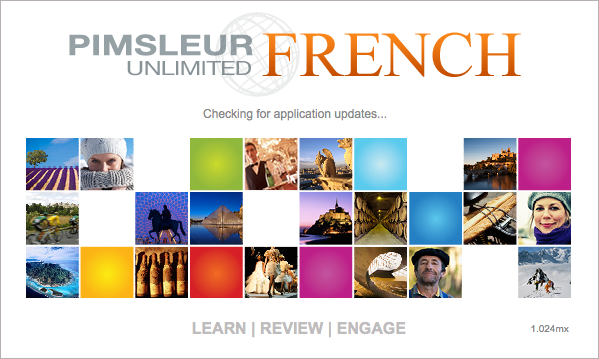 How does Pimsleur implement the strategy for use with mobile devices? The concept of portability is one of Pimsleur’s founding principals. Since the days of cassette tapes, Pimsleur products have kept pace with our “mobile” customers as they’ve learned new languages while living their busy lives. Currently all of our 50+ courses are available as digital MP3 files, so the audio lessons are accessible to anyone with a player. 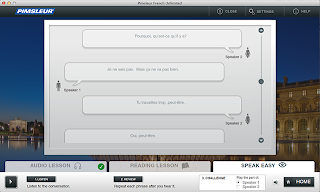 For Spanish, French Italian and German learners, our Pimsleur Unlimited courses are more visual, but still integrate instant access to MP3 audio files. In addition, they allow access to the visual components on the Nook, or on a laptop or other personal computer. Many language training programs offer some aspect of their program in a “portable” format. They allow users to do flash cards, use a digital dictionary, or do games or exercises on their phones or portable devices. 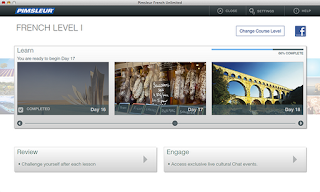 Pimsleur is the only language program with a completely portable core learning method. There haven’t ever been workbooks or grammar lists with Pimsleur, just progressive, foundational learning that serves as a springboard into the culture, the people and even more language. 6. 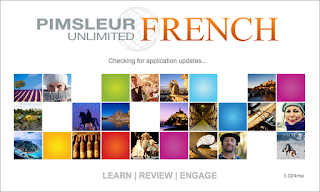 What are some of the future directions for Pimsleur? At present, our intention is to continue evolving into the digital audio landscape. Pimsleur has mobile learning in its DNA. It’s the way our programs were originally conceived and developed, and it’s hard to imagine that we’ll ever allow them to become less mobile. Even as we move into software, and the option of desktop learning, we’re determined to keep the portable / mobile option open for all of our customers. Even as the technology becomes more complex, we see more desire than ever for audio courses, and we plan to continue offering them on whatever platform our customers are using. Game-based learning that immerses students in a "deep" simulation, and brings a virtual world that tackles real-world problems and allows active role-play can result in accelerated learning, high confidence, and superior performance on real-world related tasks. 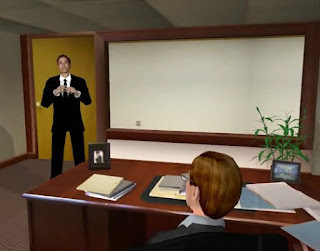 Lake Forest Graduate School of Management has developed an Immersion MBA (iMBA) program that incorporates virtual worlds and virtual workplaces, for instruction via role-playing and practice. Welcome to a series of interviews with Lake Forest Graduate School of Management (LFGSM) leadership, instructional designers, faculty, and students. Q1: What is your name and your relationship to this program? Kathy Leck, Vice President - R & D and Innovation. My department is responsible for creating new programs for new audiences, expanding current programs and implementing process improvements and innovations for Lake Forest Graduate School of Management. Q2: What were the institution's goals for the program? We wanted to expand our mission by providing practical, relevant learning to aspiring professionals in addition to experienced professionals, and to do so in a way that encompasses the methods for the next generation of learning. Lake Forest Graduate School of Management has been long known for providing practical business learning to experienced, mid-career professionals (with an average age of 38, and average years of work experience of 14 years), but the iMBA is the first program we’ve offered to serve a less experienced student population. We believe in the value of experience, so it was important to us that we find a way to deliver business education for this less experienced audience by giving them experience and do it in LFGSM fashion ― meaning that it will provide proven business concepts and skills, opportunity to build confidence using these skills, be taught by our business-leader faculty, and produce measurable results for the student and their organization. It is our belief that adult learners learn best by doing, so we developed the iMBA to be a program that immerses the students in a virtual workplace where they are required to act, react and interact in a way that's particularly engaging and "sticky." The virtual reality portion of the program is complemented by an application-oriented discussion community so students are more likely able to transfer the learning to their workplaces . iMBA students will graduate not just with an MBA degree, but with meaningful experience. Most traditional MBA programs that serve this same audience of less experienced professionals simply do not provide this kind of "practice field" for the students' business success. Q3: How long did it take to implement? Was it expensive? How did you justify the investment? The process to implement the iMBA took approximately 18 months. We used our Discovery Driven Growth process – based on the model by Rita McGrath from Columbia University -- to identify what the new project should be, what resources it would require, and whether that investment would bring the learning and growth we projected. Q4: What are some of the most exciting outcomes? The compelling engagement the student has in the learning and the speed of acquiring the competency is most impressive. Through this most engaging type of learning, the students are demonstrating the impact on their understanding and application of key business skills but also the enjoyment in the program.. The students have reported that the program format fits well into their busy lives and that it feels meaningful and relevant to their lives in a way that their traditional undergraduate learning did not. They say it is (in their words) rigorous, interesting, collaborative, exciting, and impactful on their jobs/careers. Each student uses different metaphors to explain the virtual reality experience; some have said it's like being an actor in a movie, or like going through practice for "the big game." One student recently told us that her work in the virtual reality company, Central Products, feels incredibly REAL to her; she said she feels like she's actually there to improve the company's performance and that her decisions make a real difference. They also say that having a discussion community that allows them to push their understanding and application of the learning to the next level is most impressive. Q5: What doors does this open for the future? The iMBA Program opens many doors for us in terms of our ability to serve new market segments and to engage professionals in a learning experience that exceeds their expectations. It also allows us to consider other degree and non-degree educational programs for individuals and corporations with employee populations that are geographically dispersed, but that still value the “closeness” and relevance of this type of immersive, virtual reality learning. Scenario-based learning is the “secret sauce” to our iMBA program, and it’s an approach that we think could work equally well in other degree programs or in executive education experiences. Q1: What is your name and your relation to e-learning? University professor with a split career that includes 20 years of global business management and 20 years teaching at the Graduate and undergraduate levels in the U.S. and abroad. I lead a tech firm that specializes in creating and producing high octane virtual-reality immersive simulation courseware for universities and corporations. As an example, we are in a close partnership with Lake Forest Graduate School of Management, one of the largest, most innovative part-time MBA programs serving working professionals in the Midwest. Q2: Please describe how avatars and virtual worlds can be used effectively for instructional purposes. Today, serious questions are being raised about the cost-benefit of expensive traditional classroom and cheap online instruction. Much of today's outdated education technology results in learning that is far more horizontal than it is vertical. A mile wide and an inch deep, it does not deliver the knowledge, skills and insight needed in an increasingly competitive global economy. Virtual reality technology works on the principle that experience matters, giving us the opportunity to provide a higher ROI by making the learning curve much more vertical, and allowing students to do most of their learning by doing. Q3: What are the advantages of using avatars and virtual worlds? We have long known the power of story to increase the retention of information. Asked what they know about the Biblical exodus, almost every American will instantly recall a scene from the Ten Commandments. Likewise, the best and most remembered lessons have long been the ones wrapped in stories – parables, ancient myths, even urban legends. Great teachers have always used story because they know that vicarious learning is engaging and sticky. Great teachers also know that no amount of instruction can replace experience. 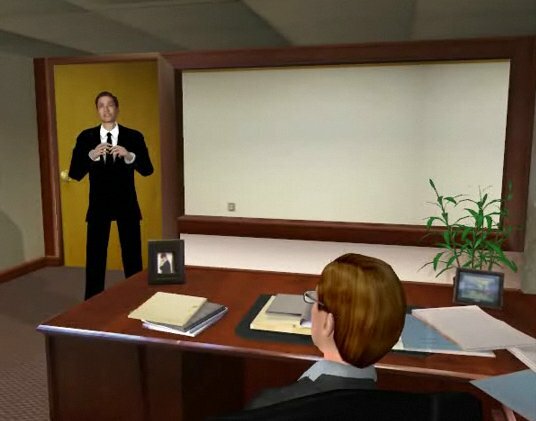 Virtual reality simulation technology, when used in an environment like an MBA program, uses these same principles by letting learners apply their ideas and skills in a practical context, where they can practice, fail and practice again. Q4: Describe the iMBA program you've been involved in and what makes it unique. The LFGSM Immersion MBA program (iMBA) uses virtual reality simulation courseware to create a learning experience that is modeled after a corporate executive development program combined with a robust discussion community that guides the student to apply the learning to their own workplace. 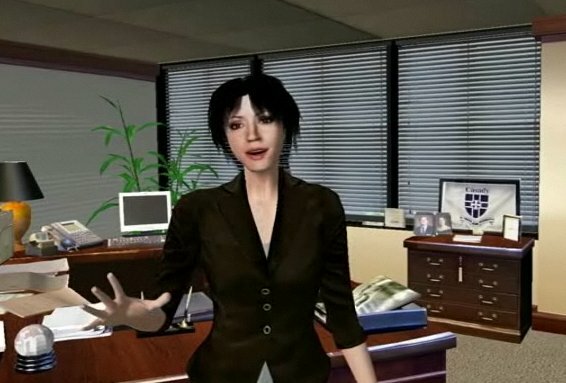 The academics are rigorous but the knowledge, skills and insights are acquired while "working" in a company called Central Products - a virtual reality clone of the plant, personnel, products, customers and competitors of a real U.S. company of about 500 employees and $100 million in annual revenues from its worldwide operations. In the LFGSM iMBA, small teams of students rotate from one department to another with each new course. They "work" for about eight weeks each in Marketing, Accounting, Information Systems, Production, International Business etc. -- all under the supervision of LFGSM business-leader faculty members and coaches. Q5: What are the major advantages of using this approach? Engaged learners. This is nothing like the typical lecture or case study models that are particularly unattractive to adult learners. Flexibility. With the course schedule parameters, adult students can work around travel, work and family priorities. Better use of faculty. Instead of "teaching to the middle," faculty coaches can give specific, individualized attention to each student. Cost reduction. By choosing a comprehensive package that included course development and the online delivery system, a dashboard for faculty and administrative oversight of the learning, and technical support, LFGSM eliminated over $100,000 in development costs (and passed this along to students through affordable tuition) and at least a year of lost time while creating a program that is uniquely Lake Forest. Leading the way with innovation. Learning technologies will continue to improve and schools like LFGSM will continue to lead the way. Q6: How do you assure that learning goals are met? LFGSM established learning outcomes for its iMBA program and for each course within the program. These become the objectives against which actual results are measured. LFGSM’s virtual reality MBA program provides real-time data on every student in every course. The discussion community surrounding the virtual reality allows students to learn ways to transfer learning to their work place. For example the discussion community includes having real world projects that they work on together applying the practice they obtained in the virtual reality. That includes easy-to-use dashboard-style data on progress, performance and student satisfaction in very module of every course. LFGSM includes three kinds of assessments. Students, faculty and administrators receive immediate feedback on every student's scores on objective assessments. Responses to open-ended subjective questions are included in the dashboard and scrutinized by faculty who provide continuous specific feedback to each student. Students are evaluated on their contributions to weekly Discussion Topics, career e-Portfolio and surveyed periodically to identify ways to improve their experience. Q7: What kinds of assessment are you using? Q8: What are some of the pitfalls? What must be avoided? Online teaching in a virtual reality context is not the same as classroom instruction. Faculty have to learn again to be coaches and collaborators in the learning process. Adult learners with family, work and travel responsibilities are not the same as full-time students. They often bring a wealth of their own experience to the MBA. They almost always bring ambition and demands for a collaborative relationship with their teammates and faculty. Most students have no experience with virtual reality simulation technology (unless they happen to be gamers). They have to unlearn some of the tricks they used to survive in a traditional class or in other online classes. It is important to orient students well. LFGSM begins the program with a three-week, low pressure course on the History of Management Thought. Q9: What would you like to do next? These are very exciting times. There are no limits to what is possible with the technologies we have available today. Along with others, I think the time is coming when people around the world will have access to truly engaging, high-value education at lower and lower prices. Our firm would like to help accelerate that dream. Q2: Please describe your role and experience with the program. I taught the first cohort of iMBA students, and will start the next cohort next week. I have 3 years experience teaching while using avatars. Q3: What were some of the unexpected things you encountered while using avatars and virtual worlds? I was surprised how involved I became with the scenarios involving the avatars. The situations were very realistic and thus enticing. The information taught is applicable to real-life situations so it is applicable immediately in the business situations of the students. As faculty, I was able to relate the learning to daily events in marketing. Immediate application to business situations. The flexibility in time commitment. The iMBA program is rigorous, but it can be done on my schedule. The faculty is available and involved with the students even in the online environment. Q5: Were there a few things that gave you a sense of real-world connections? what were they? I answered this in the other questions. My role as a student is a unique experience in that I fill the role of an avatar/employee at a virtual PE piping company called Central Products. I am gaining experience and education in a realistic, corporate world. Honestly, I was surprised my how realistic it was. There are certainly moments where the experience reflects "real world" scenarios that I didn't expect to come across, making the program that more unique. There are numerous benefits to this experience. I can gain the education and the experience at the same time, something that is desired during these times, but often impossible to find. I can cover the readings or the calculations from anywhere at anytime, so I can fit it into my schedule, when I want. Most importantly, many people put their life on hold to go back to school, but I was able to stay with my current facility, in the career that I love. So I gain this MBA education, experience the virtual world, and still get to have a positive impact on my current position. Yes, I work for a very small company, where I work with clients who have spinal cord injuries. This education has impacted this medical facility on an almost daily basis. I can impact my professional world with aspects from the virtual world in an unbelievable manner, whether were covering Human Resources topics or even financial ratios. Q6: What would you like to do next? I would like to stay in the Health industry and hopefully open my own adaptive exercise facilities for those dealing with spinal cord injuries. I am Achyuta Nosum. Currently, I am enrolled in the iMBA program at Lake Forest Graduate School of Management. I feel like I am an intern in a real company and there to actually improve the company's performance. I found the handheld device quite new and interesting as it tells the student on their immediate tasks and readings to complete. I did not really expect the avatars to actually communicate like we do in the real world. For instance: one of the avatars was singing and having a regular conversation with another avatar. This is something we can all relate to in our daily lives. A major advantage being in this program is the flexibility. I can pace my modules according to my work schedule. It is assuring to know that the faculty is available at any time you need assistance. In my opinion, faculty is the pillar for this program ― they will make sure all the resources and help are being offered. I often thought that leadership means responsibility but, after interacting with the faculty at Lake Forest, I have gained an understanding that a leader could have an impressive title but a leader can’t really be successful if she or he lacks the ability to inspire others to follow. For now, I would like to focus on learning business theories and its application in the real world. I am positive and confident that I will be successful in utilizing the iMBA program to build and expand life-long networking relationships. The Career Crystal Ball: Which Careers Will Win After the Election? If you have been following the Presidential candidates' campaigns, you're probably familiar with their goals to bolster the economic recovery and to bolster programs, both public and private, to help create jobs and develop a robust position in the world. But, how do their views translate to careers? Which sectors of the economy will benefit once their policies are implemented? It's a tough question because we know that Presidents are not all-powerful, and they have to work with the legislative and judicial branch of the government as well. Health care: Obama's health reforms are restructuring the medical world, with expanded opportunities for nurses, physicians assistants, and health care administrators. Education: Continued expansion of grants for tuition, coupled with more controls on loans and education providers (in order to shut down diploma mills), could mean growth in higher education, especially at the community college level, where tuition is low. Environmental protection / Green energy: Despite the setbacks in some alternative energy programs, there will still continue to be incentives for processes that monitor and protect the environment. Count on more vigilant monitoring of "fracking" and disposal wells that may cause induced seismicity. Auto Industry: Obama's support of the auto industry is likely to continue, resulting in high-tech jobs and also financial sectors. Natural Resources Management and Technology: In this case, water is perhaps the biggest target, not only of conservation but also of management. Water trading during droughts and times of very thirsty cities has opened a new desire for new water purification, devices that conserve water, and those that protect the aquifer. Military: The military may reverse the current reduction in forces and start to ramp back up. Weapons purchases will expand as well. Careers in the military, as well as in military support industries will expand. Investment Banking: Banking will most likely recover, with new investment funds, and potential sources of capital for small business, housing, and resource ventures. Companies specializing in M&A (mergers and acquisitions) will do well, along with those that "right size" and broker divestitures. Overseas investment in U.S. assets is likely to continue to occur, so a knowledge of international relations is critical. MBAs and international business majors may find themselves to be in particular demand. Learn Mandarin and Portuguese. OIl and Gas Industry: The shale boom will likely slow down if the price of natural gas stays low, and consolidations of companies accelerate. However, the expanded supply of natural gas must go somewhere, and we don't have the pipelines to transport it. The same applies to oil from North Dakota / Montana's Bakken, and Texas's Eagle Ford. Jobs for engineers, geoscientists, support techs, geographical information specialists, and pipeline construction will continue to grow. Demand for truckers, welders, and IT technicians (who deal with automated operations) will expand. Attorneys and Paralegals: Corporate and administrative law could be the big winners, with a focus on bankrupcy, mergers, acquisitions, and patent law. Real Estate: Recovery will continue to take place, regardless of the winner. Individuals in all phases of real estate could prosper. Communications / Communications Networks: Technology will continue to drive growth in smartphones, tablets, computer networks (cloud), as well as in solutions for standards-driven websites. Genetics Specialists: People who understand genes and can design medications and new varieties of plants will be in demand, both in the medical and agricultural fields. Bioengineering pets is also continuing to grow. Event Planning: As the economy recovers, so do events. Social media is making the "spectacle event" more popular than ever. Planners who can pull it off will be in demand. Organic / Whole Foods: Careers for those who produce, process, market, and distribute organic and whole foods will continue to thrive as the population continues to wrestle with staggering levels of obesity, often blamed on hormone-laced foods and hyper-processed foods. Hospitality industry: Tied to the overall health of the economy, the hospitality industry will thrive as the economy recovers. Careers include culinary skills, restaurant management, hotel management, social media marketing for all travel / entertainment. Robotics and Remote Operations: Engineers, technicians, and computer specialists who can develop the platforms and equipment to expand the use of robotic and remote operations will thrive. Individuals who can work with the computer interfaces to analyze the information that comes from the remote information will also do quite well. Mobile learning tends to be the moving target of distance education. It is not just the fact that technologies (smartphones, tablets, cloud computing, new software) is constantly changing. It’s also a matter of a rapidly evolving economy, along with significant changes in the way that people live and work. It’s easy to feel both enthusiasm and frustration when thinking about the best way to use mobile learning for personal development, and to implement it within a higher education or professional development setting. It does not help matters that the typical e-learning platform or learning management system tends to be extremely complex and cumbersome, not only for the organization using it, but also for the user. A few recent (late 2012) developments have made it appear that a re-energized mobile learning approach could help simplify the entire e-learning landscape, and make learning online and at a distance manageable again. That is not to say that one should trust all the hype; every new technology or process breakthrough is accompanied by promises. However, they are worth evaluating. Engagement / Gamifying Learning: “Lite” games or interactive modules that can test the learner’s understanding are ideal for focusing the learner’s attention and keeping them engaged. They are very effective with vocabulary and identification. Multiple choice, true-false, matching, and “click and select” activities translate nicely to a smartphone screen or a tablet. Ubiquitous Access: Using a combination of cell phone networks and wifi makes accessing content much easier than before. There are still issues with coverage, though, and most mobile content should have an option to download and store on the device. BYOD (Bring Your Own Device): Colleges and companies are accommodating the trend to “bring your own device” rather than issuing a device, or requiring uniformity. There are two very pragmatic factors at work: first, the rapid deployment of new models of smartphones and tablets make it hard to keep up; and second, the device that a learner is comfortable with is likely to increase comfort and a heightened sense of self-efficacy. “Snack Learning”: Being able to use small chunks of available time is extremely appealing to learners who are busy and often cannot devote an entire morning or afternoon to a course. Modules that can be completed in 20 minutes or so are highly effective, not only in maintaining focus, but also contributing to course completion. Massively Open Online Courses (MOOC): Several universities that have a robust series of open courses have started offering “massive” courses which are open for free to anyone who signs up. What differentiates these courses from the MIT Open Courseware offerings is that they offer ongoing discussions, which allows for interaction between learners. They also include assessments, and the successful learners can print out certificates that are generated after the courses have been completed. On the Go Assessment: It is now possible to authenticate users who wish to take quizzes or exams with their mobile devices. This is a huge breakthrough; many online courses that required proctored exams met a great deal of user resistance because they either had to go to a proctored location or to purchase equipment that had to be installed on their laptop or desktop. Now, authentication can take place wherever and whenever the learner wishes. GPS-enabled Learning: By using built-in GPS capabilities and different maps (Google earth / Google maps / Apple maps, / Mapquest, etc. ), learning modules can be developed that take advantage of location and “in the wild” learning activities. For example, it’s possible to take photos of an outcrop and post it, with a label that specifies latitude and longitude. It’s also possible for students to collaborate on projects that require going to specific locations and taking readings. Using GPS is perfect for science as well as market research, market surveys, and more. Motivating with Rewards: Being able to check one’s answers immediately, and then receive a printout of a certificate can be extremely motivating. Record-Keeping: Another sticking point in the past was that it was hard to record and track a learner’s progress. Many mobile learning activities were not SCORM compliant, and it was unwieldy to track completion. The move to simply has started to apply to SCORM compliance and recording training events. Tin Can API, a new application interface (API) promises to be able to accommodate different types of learning activities and to capture the results in the form of performance reports. It consolidates the activities into a Learning Records Store (LRS), which can be accessed at any time. Cost of course / module development for potentially short-lived product: Colleges and other learning organizations have hesitated before dedicating funds to mobile learning, primarily because they fear investing in something that has a very brief shelf life. Even with a learning object approach (building courses and course content with LEGO-like reusable digital content (“objects”), it has been necessary to dedicate resources to build to fit new interfaces and to accommodate new platforms and devices. Low completion rates: Does it really matter if people do not complete? In the case of open courseware, the completion rates for elearning (including mobile learning) have been as low as 3 – 5 percent. At the same time, the numbers of people who do complete have been high, since 5 percent of 100,000 users is still 5,000 individuals. In this case, the question emerges – does it even matter if someone does not complete the course? It is not really a reflection on the quality of the product or the learning experience. Instead, low completion could be due to the fact that many people sign up who are merely curious, or who perhaps do not possess the requisite knowledge to succeed. If there are no entrance exams or any forms of gatekeeping, it’s more or less a free-for-all. For professional societies that offer mobile learning courses, or instructional apps, does it matter? One can argue that the consumer is under no obligation to actually consume their purchase, nor does a lack of consumption indicate dissatisfaction. Perhaps they prefer to warehouse their purchases. Obviously, for institutions of higher education which have to demonstrate levels of completion in order to continue to qualify for student federal financial aid, course completion rates and graduation rates are institutional survival issues. MOOC impact: Many colleges and universities are understandably nervous about potential ramifications of the large open courses. Will they make their own colleges and universities obsolete or irrelevant? The prevailing view is that knowledge is good, but for degree-seekers who need the credentials in order to obtain a job, the role of the accredited institution of higher learning is still important. Big Data: Cloud computing is allowing institutions to track and record student performance and behaviors, using many of the same algorithms and approaches used in customer relations management algorithms, neural networking, and pattern mapping. The potential for determining what approaches are most effective has transformative potential. Lack of instructor contact: Conventional wisdom has held that students learn through interaction with each other, and guided interaction by an instructor. The instructor may not be the sage on the stage, but they are still in a position of authority as they “guide on the side.” However, the MOOCs are demonstrating what people have known all along—that people learn from each other, and that the authority or source of knowledge does not necessarily have to be present. Designed correctly, a course can allow enable students to learn and master the subject by working with each other, and reconciling their attempts with instructional materials. Poor instructional design: Distractions? Frittering away time on amusing, yet pointless play? Peer interaction may be of limited value if instructional design is poor. While it is true that learn from each other, the question is, what are they learning? In a mobile learning environment, where entertainment, engagement, and interaction are privileged, along with the ability to complete tasks quickly and painlessly, it’s possible that the entertaining distraction becomes the focal point, and no one knows until the core learning objectives and course outcomes are not achieved. Online training providers are increasingly under pressure to provide quick-to-market, easy-to-implement solutions that avoid cumbersome learning management systems. At the same time, the proliferation of devices and apps has created an environment where solutions have to be simple and elegant enough to work on many devices in situations where bandwidth can be a challenge. This case study examines the experience of UWINPro, who offers training programs in SAP for companies that use SAP for database integration and management. They have been using ProProfs.com and are sharing their experience here. 1) Can you tell us briefly about your company and your relation to e-learning? We at UWINPro (www.uwinpro.com) are one of the leading IT Training providers in Canada. We offer Online Training programs to our globally located corporate clients in the fields of SAP, UNIX and ERP courses. We have been focusing on SAP courses like SAP CRM, SAP HANA, SAP BOBJ, SAP ECC, SAP SRM etc. 2) In what ways have you used e-learning while developing your online training programs? We are using elearning to offering online access to training courses. Currently we are using ProProfs (http://www.ProProfs.com/training) for developing our e-learning courses. To create a comprehensive and an engaging learning experience we use different components inside the courses such as PPTs, Videos, Mind maps, Flash cards, Quizzes and Surveys. These courses can then be accessed by our learners anytime / anywhere at their own convenience. We use multiple ProProfs products such as Training Maker, Quiz Maker, Survey Maker and Flashcards to create elearning courses. 3) Do you think that online training still has many hurdles to overcome? For instance can online assessments, which are a major part of online training, be trusted? Most of the online training software do not work across multiple devices, so a learner using a laptop might be able to access the training program, while someone trying to access the same training program from an iPad might not. A successful online training program must take into account that learners are geographically dispersed and use different devices. As for online assessments, they are an integral part of online training without which you cannot test the learning of trainees. Again, online assessments need to be device compliant as well and there are a number of ways in which you can make online assessments secure. You can use privacy control features such as password, availability protection & ID verification. You can also prevent cheating in online assessments through settings available, for example features such as timed assessments, question pooling, randomized question order, answer shuffling and more. With the help of technology, it’s possible to make online assessments completely secure. 4) What is ProProfs Training Maker? ProProfs Training Maker is an online tool to develop e-training courses by incorporating training materials like PPTs, PDFs, Docs, Pictures, Videos, Quizzes, YouTube videos etc. Since the Training Maker also includes the Quiz Maker, we have found it easy to create assessments and attach them to our e-courses. Besides this, there are a numbers of key features within Training Maker which you can use to create e-training courses. 5) What are the key features? • Reporting & Tracking: We use this to track and capture the information of learners taking our courses. The information can be the name, email, phone as well as the data of individual course takers through which we check compliance issues and defaulters. • Use Existing Material: We like that we are able to create courses using our own existing training materials such as PDFs, PPTs, videos and documents. We also use the existing quizzes in Quiz Maker as it helps in creating assessments quickly. • Mobile Compliance: With more and more learners using smartphones to access the training programs, all of our course are accessible from any mobile device by leveraging the in built HTML5 conversion in ProProfs. 6) Can you give a few examples of successful implementation? We have successfully developed few of our SAP training courses and Quizzes, which are also embedded on our website. Visit http://www.uwinpro.com/interactive.html and http://www.uwinpro.com/quiz.html for more details. 7) What is the future of online training? How do you think it can be improved? With the upsurge in smartphones and tablets, a geographically dispersed workforce prefers online training rather than the traditional brick-and-mortar classroom. Online training courses are ideal for a geographically-dispersed workforce, as they can take the training from anywhere, anytime and also saves companies the costs on transportation, lodging and trainer fees. Companies have realized this and many are rapidly adopting online training programs to train their employees. Moreover, online training has become a better, cheaper and faster way of spreading theoretical knowledge and technical know-how for companies as well as educators. So, I think that online training will become the primary channel to teach and share knowledge in the coming years. The improvement has to be on the interaction side – many learners are still not used to interactive online training and may have some initial learning curve with certain features like online whiteboard. In terms on improvement in Training software, we would like to incorporate advanced security features so that multiple instructors from different parts of the world can securely create courses together and collaboratively.